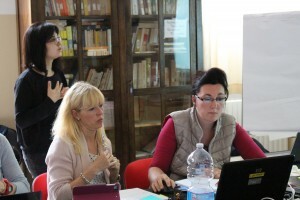 Teachers from the different partner countries (ES, DE and IT) gathered in Fano (Italy), in order to know more about the process of founding Student Enterprises (SEs). Two teachers per country attended to the training, 6 teachers in total. Trainers from the project partner Training 2000 (responsible for the trainng) and the PACE project coordinator where the ones facilitating the training. The training was based on the SEs founding steps. 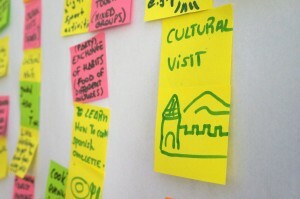 Several activities related to project management, creativity, innovation, business, law, finance and marketing where connected to the different steps. Besides, a communication way between teachers and students was defined. Several ICT tools for communication and planning where presented and taught to the teachers, so that they can transfer the knowledge to their students and to establish the communication structure in their countries. The italian students where present several times during the training. 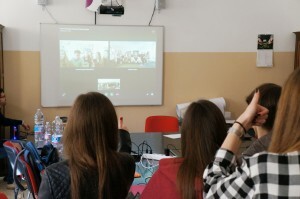 Moreover, they had the oportunity of talking to the students in the other partner countries through a Skype meeting organized in the meeting room. 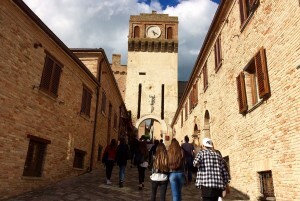 Besides, the students in Italy organized a cultural visit to the Gradara Castle, where they leaded the teachers through the castle and surroundings while narrating some history about it. At the end of the training, the teachers had some time to prepare their school plan, the steps to be done until the next student exchange in Pamplona, Spain. They brainstormed some ideas together with the rest of the teachers for the next student exchange. We can say that the teachers training was a great success! 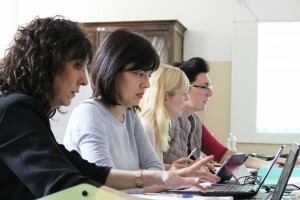 The PACE teachers flew back to their countries with new techniques in their suitcase, what they will be able to use with their students back in their schools and to found great student enterprises! From the PACE project coordination, we would like to thank all the teachers and students for the great teamwork and dadication during the training! Next target: students exchange in Spain! !